Structural steel has a long list of benefits associated with it as a sustainable and highly reliable material for construction. 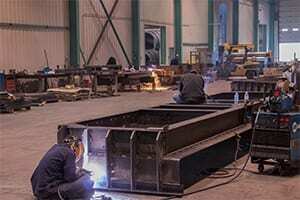 However, the fabrication and welding processes necessary to transform structural steel into products used for construction and other industrial applications are complex and demanding. If you do not find a company who can pull them off properly the material’s viability may be compromised. The processes used in structural steel welding take a special expertise that only some companies have. Swanton Welding has that expertise. Structural steel is a beneficial material for a wide range of applications. The material weighs far less when compared to many other metals, and it is more economical than many of them as well. Utilizing it can lend products a great deal of strength. For this reason, it is a very popular material for large-scale construction projects.Steel is also quite malleable, allowing it to be customized to fit your specifications if you hire a fabricator/welder with the skill and experience necessary to make these transformations possible. Structural steel is an alloy, and as such, it can be adapted to give it different properties. This makes it useful for a tremendous array of projects. Steel is a naturally strong material, but proper welding and fabrication techniques can heighten this trait. Steel would not be as reliable for high-pressure applications like columns and I-beams in commercially designed buildings if not for the intervention of welding and fabrication. Not every welding team can use steel to its full potential, but here at Swanton Welding we have the experience necessary to create steel products which are ideal for construction and design projects. We will tailor our steel to meet your specifications, giving you a final product you will be able to depend on for a very long time. The success of any major building modification is highly dependent upon successful welding techniques. In fact, rivet construction is largely being replaced with welding because of the additional strength and durability it provides. Refinements in welding techniques have allowed architectural designs to be more complex and stylized than ever before. Not only that, the steel used in these designs is even more dependable than it once was. 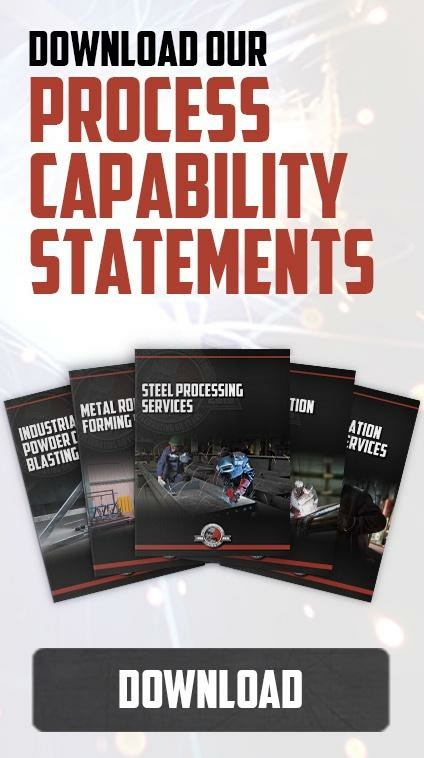 The many processes that Swanton Welding uses are designed to strengthen and complete the building projects of our clients not matter how complex their application may be. Welding has changed the frameworks of many buildings by offering a more solid foundation than rivet construction. Overall, welding with structural steel has provided contractors with a much safer and more viable way to connect beams without a loss of strength at the joints that are welded. Not only is welded steel safer, it is also cost effective. It is much easier to navigate and mold projects that are designed with welded steel. Swanton Welding has perfected this process during our more than 60 years in the welding and fabrication business. We have already established that welded structural steel is a stronger and more cost effective solution, but there are more advantages as well. By utilizing arc welding processes with structural steel products we can reduce the weight of your building by at least a third. Of course, improper arc welding can negate all of these advantages, which is why Swanton Welding has taken the time to find experienced and highly knowledgeable welders to join our team. Education and experience make all the difference when it comes to welding structural steel. The types of welding that are needed for each individual project may be diverse and challenging, but our team is up to the test. Swanton Welding is proficient and experienced in all of the types of welding used in conjunction with structural steel. There are many different choices when it comes to structural steel. The lower the carbon content in the steel that is chosen determines the ease of welding. Lower carbon content equals a faster rate of production on construction projects, but it can also make the material more difficult to work with. Swanton Welding is able to offer structural steel solutions that are both efficiently made and highly effective. We will work for you to determine the perfect type of structural steel for your project. The processes used to design structural steel can change the cost. However, structural steel is a cost effective material when used properly. Steel is an excellent, highly-sustainable material, but it is far more effective in the hands of experienced and well-educated engineers who understand its properties and potential benefits. Overall, steel holds a huge number of advantages to contractors and others who intended to utilize it for industrial applications. Experts have found that even reinforcing older buildings with new welding processes can significantly improve the strength of the building. Imagine the benefits of using expertly welded structural steel from the start for you construction project. Then contact Swanton Welding for all of your structural steel welding and fabrication needs.